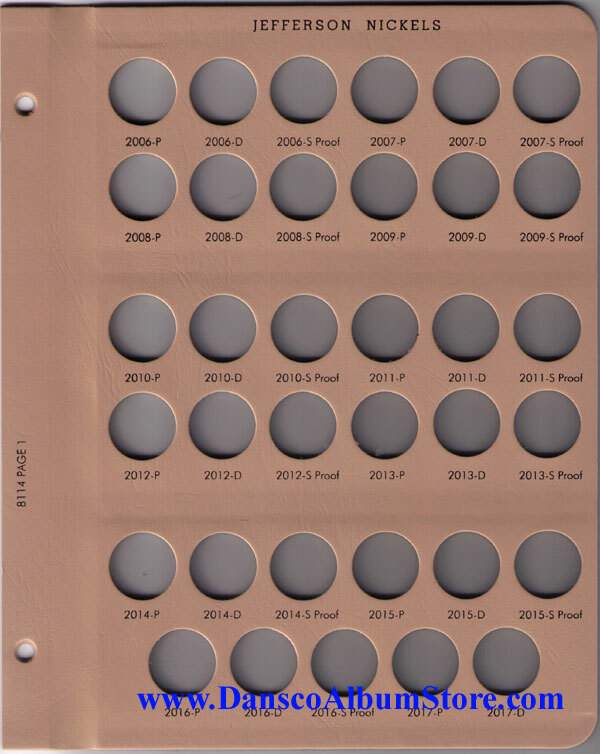 This is the newly released Jefferson Nickels with Proof issue album that dates from 2006-P through 2029-P. This album will follow up the current 8113 Jefferson Nickel album which is dated 1938-2005. If you currently have a 8113 and your album ends with dated ports for 2011's and you want to replace that page with the new page that ends with 2005. A link to this new 8113 page 6 is here Please note: Dansco will not be producing an 8113 page 7.